The Leica GST4 Tripod Floor Mount is a tripod-star stabilizer designed to securely hold a tripod in place while on hard and slippery surfaces. 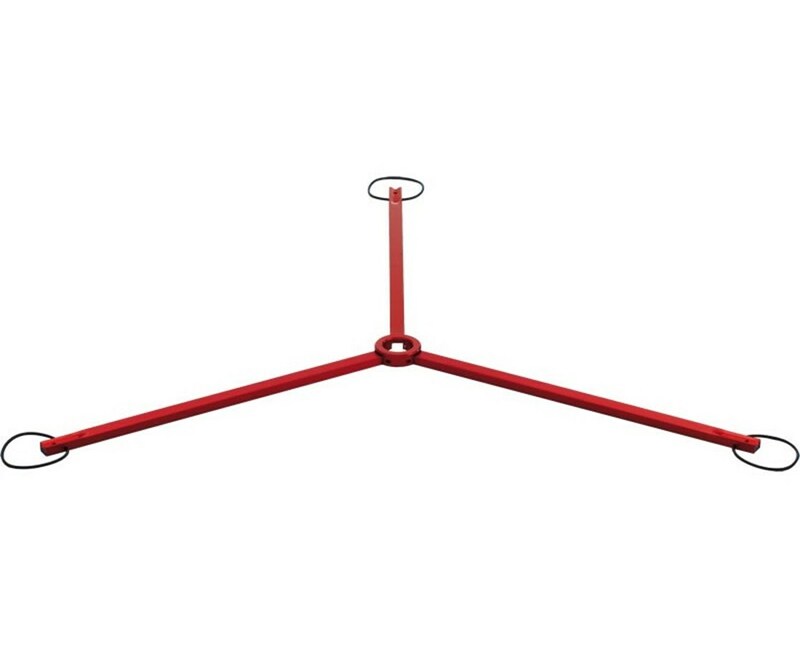 It features three rubber loops to secure the floor mount onto each leg of the construction tripod. 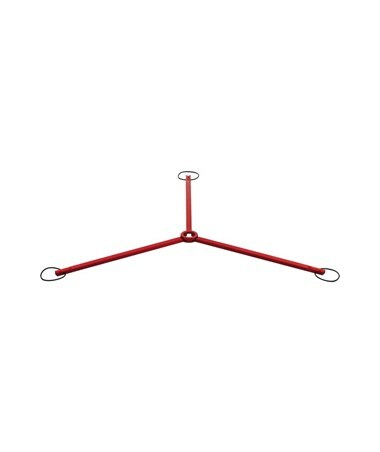 The GST4 tripod mount is made of aluminum with a bright red coating. It can be folded into a compact size for easy transport and to safe space. It is quick to setup and can be used with any tripod with pointed feet.